Heritage Bank, in conjunction with Ruinart, the world's oldest champagne house known to support leading global art events like Art Basel Miami and PAD London & Paris, is set to sponsor a solo exhibition by Professor Bruce Onobrakpeya, renowned globally as one of Nigeria's greatest experimental artists of all times. The solo exhibition billed for December1-15, 2013 at Temple Muse in Victoria Island, Lagos will showcase 63 works of the legendary artist consisting of metal foil pieces, prints, serigraphs, plastocasts, sculptures and paintings. Onobrakpeya, famous for his aversion for copying western art forms and a master at creating new art techniques which showcase Nigeria's rich heritage and culture, has received many local and international awards including Honorable Mentionat the Venice Biennale, and a Living Human Treasure Award in 2006 from UNESCO. He is one of Nigeria's famous Zaria Rebels, an art movement started by Uche Okeke, Yusuf Grillo, Demas Nwoko and other students at the Ahmadu Bello University in Zaria in the 1950's. Speaking on why his bank chose to be a sponsor of the exhibition, Managing Director of Heritage Bank, Ifie Sekibo, noted that Onobrakpeya represents a unique example of the Nigerian spirit of creativity, innovation, tenacity and trans-generational relevance. 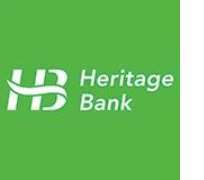 “We at Heritage Bank see Prof. Bruce Onobrakpeya's legacy as a quintessential symbol of Nigeria's rich heritage and culture, and we are happy to sponsor this exhibition because Heritage Bank's unique philosophy is predicated on creating lasting legacies through wealth creation, preservation and transfer”, Sekibo stated. He added that, “The Bank will continue to live out its commitment to the preservation of Nigeria's important heritage by supporting relevant artistic and cultural ventures to showcase and strengthen our rich values”. Meanwhile, the Heritage Bank helmsman, Ifie Sekibo, has advised Small and Medium Enterprises in the country to focus greatly on restructuring and innovation in order to access the unfolding opportunities for growth and development in the economic landscape. Sekibo noted that although SMEs are a vital national economic growth engine contributing to vital economic indicators like Employment Generation and GDP with about 70% of the rural population being active in formal and informal SME sectors, growth possibilities are hampered seriously as significantly low number of start ups who apply for medium-longer term financing actually succeed. He attributed the main challenge facing SME promoters in the country to limited access to appropriate capacity building opportunities and education which, in turn, lead to other growth-limiting impediments such as inadequate financial record keeping, Poor Managerial Skills, Lack of access to International Markets, inability to provide collateral and poor access to infrastructure. Sekibo added that for the country to achieve the laudable dream of the vision 2020 National Technical Working Group on SMEs, all stakeholders in the SME sector must join hands in creating and sustaining an active SME sector through the establishment of a solid framework supported by clearly articulated government policy. “SMEs enhance competition and entrepreneurship, and their proper development has a positive impact on innovation and productivity growth. Developing the SME sector, therefore, requires a concerted effort from all stakeholders”, he submitted.